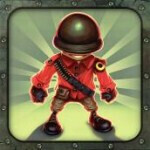 Fieldrunners is one of the best and oldest tower defense games for the new generation of smartphones. It is addictive and fun, and it is finally making its way to Android. And, this isn't exactly the same old game from iOS, this version has gotten a bit of a visual bump. 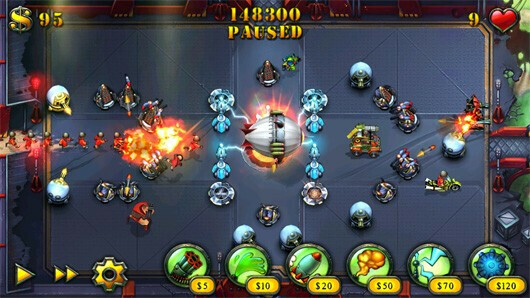 Fieldrunners HD has undergone a visual upgrade, brining the graphics up to 950x540 resolution, which is almost a perfect fit for the new qHD screens (960x540) that have been popping up on various Android handsets like the HTC Sensation, Motorola PHOTON 4G and Motorola DROID X2. The gameplay will be the same as on iOS. Fieldrunners HD will be released on Android on June 30th and will be made available for only 99 cents for the first 24 hours. Starting on July 1st, the game will go up to its regular price of $2.99. This is definitely one of the best tower defense games out there, so if you like tower defense, be sure to grab it fast before the price goes up. wow its about time. I waited over a year and a half, ever since i left iOS ,for this game. And its in HD just in time for my E3D.